Ullrich Aluminium company's fastenings division started back in 1966, simply as an extra service to assist our customers who were buying rolled products or extrusions for products they manufactured for building projects, and "difficult to source" fasteners to go with them. Even back then no job was too large or too small with Ullrich Aluminium supplying everything from home handyman projects, right up to the roofing fixings for power station projects, probably the largest jobs of their kind at the time. Through our export division we have been involved in opening up markets throughout the Pacific with contracts to supply fastenings for major building projects such as international airports and port terminals. We were New Zealand's first importers and agents of products such as Cherry rivets, Gesipa rivets and tools, Avdel and many more, and this search for new products continues as a result of the increasingly specialised requirements of our customers. Today, with a comprehensive range of air and power tools to complement our extensive range of bolts, nuts, rivets, screws, drill bits, saw blades and air tools, we have the ability to offer products and tooling to cut, drill and bond almost any type of material in a wide range of applications. We can also offer you options such as customised packaging and labels for retailers and wholesalers, along with (provided tooling and wire is available) having special fasteners made on our machines with minimum quantities of around 5,000 per item. 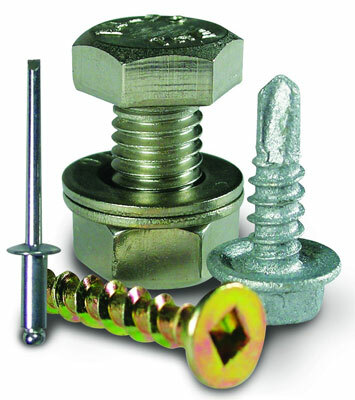 From small beginnings we have grown to be one of the largest suppliers of fastenings in the South Pacific today.